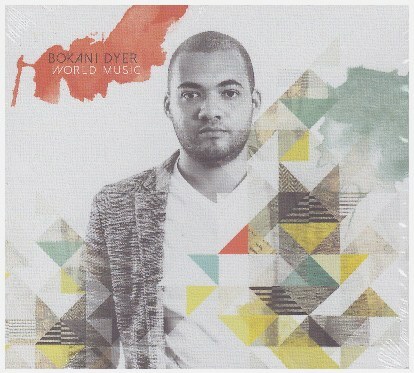 There’s something compelling about pianist/composer Bokani Dyer’s latest album, World Music (Dyertribe). Since it arrived, it has been in my player more often than any other. Perhaps it’s because every re-playing reveals something fresh. The title throws down a challenge, but also accepts it. Instead of settling into a genre long abused as the marketer’s catch-all for anything not American, Dyer’s re-purposing, as he explains online (https://www.youtube.com/watch?v=YhxOrWZtFYs ), stakes out a space for “anti-genre” music. The dozen tracks refuse to settle comfortably in any category. The opener, Waiting, Falling, came to him after he’d been engaging with Bach, and there is something fugal about the way the quiet, contemplative theme becomes a braid of interweaving parts. The track that follows, Vuvuzela, employs John Hassan’s percussion and voice to take us into a joyous southern celebration that is not precisely African or Latin, or Caribbean, but owes something to the textures of all those musical sites. The ability to create a syncretic Southern rhythmic feel that sounds fresh rather than patchworked has long been Hassan’s strength, and Dyer’s composition gives him a joyful jumping-off point. There’s more: neat writing for horns – in classic big-band style on Keynote, and with more African syncopation on Master of Ceremony – that allows Justin Bellairs and Buddy Wells to stretch out; stealthy, electric Miles-style, trumpet stepping (from Robin Fassie Kock) on Recess; a processional Sotho hymn rolling along magisterially under Keenan Ahrends’ guitar on Motho wa Modimo (http://www.cdbaby.com/cd/bokanidyer2 ). Yet none of the tracks stays neatly with the feel announced in its opening bars. Constant transformations and transmutations take each tune into new stylistic and textural spaces before bringing it back home. 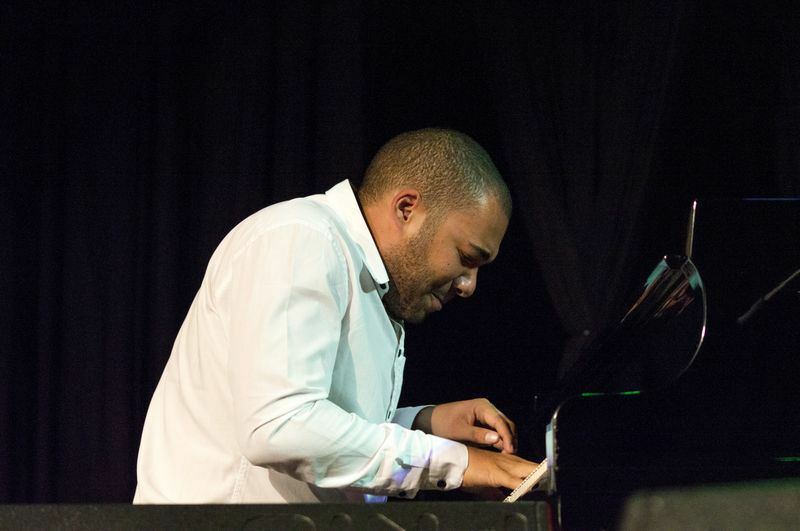 The word “open” recurs frequently in the pianist’s discussions of this album (http://mg.co.za/article/2015-08-27-bokani-dyer-takes-on-the-world ) and fortunately, Dyer’s team can not only follow through the gateways where he leads, but strike out in explorations of their own. Rhythm team bassist Shane Cooper (with whom Dyer has worked in Card on Spokes) and drummer Marlon Witbooi provide both rock-solid support and edgy original ideas; the voices of Hassan, Sakhile Moleshe and Lee-Ann Fortuin enrich the textures and take flight on the notes. As for Dyer, his playing here is easy, thoughtful, intricate – and sometimes, especially on synthesizer, downright fun. As composer, he has created some very catchy, appealing melodic themes, so that while World Music is certainly music for ‘jazz’ fans – the skill and stretch of the improvisation ensures that – it ought to reach much further. The memory that kept nudging me was of the late Moses Molelekwa. Had he lived so long, he’d surely have appreciated this album, and recognized it as a conceptual cousin of his own work. < Previous “Dying” theatre and “lacklustre” jazz festivals – it’s all opinion, right?